Uranus & Neptune - small bore challenge? I'm curious - anyone with 6" or less in aperture who images these challenging orbs? I would be totally impressed if someone does. Can do with a 6" refractor/ 180mm Cassegrain visually. You have data on the japanese alpo site. Imaging is performed by people using 10-11" with great results. I saw images done with a C8 revealing the banding pattern. Here is my feeble attempt to image Uranus and Neptune with my Iphone last year through my Lunt 152ED refractor. One minute videos shot at 400x (6mm x 2 barlow) processed in RegiStax6. Seeing was below average and there was light wind. I'm not sure but in the top Uranus image there are a couple of glows to the left and down from the planet. These correspond to the locations of the moons Oberon and Titania for that night. (September 23, 2014 - 10:27p.m. CDT) I'm not saying that's them but if it is its pretty cool that I imaged the moons as well with just a phone. Edited by SteelStar, 20 October 2015 - 07:02 PM. I've noticed that the Uranus moons are hard to see on my Ipad as opposed to my desktop so here is an enhanced pic. Thanks for sharing. I've gotta believe Brian K Brown has an image or several... ? I did this in 2012 july but with the 300mm and a B/W webcam 098. I imaged them with a 6" SCT. 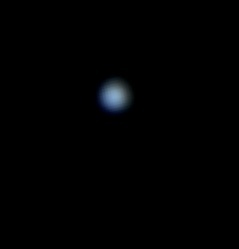 Got a nice bluish/green disk with Uranus, but the frame exposure time was so long on Neptune that the small amount of drift during each frame led to a non-circular image. I'm interested if anyone has tried using a sensitive camera like the ASI224MC with a small scope. 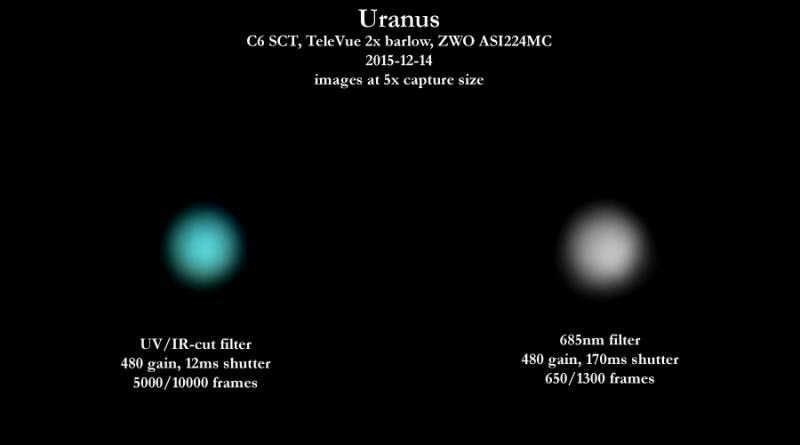 Is Uranus bright enough to use IR filters with this camera? I had the same issue imaging Titan. The gain had to be way up and the exposures long that the post processing amounted to manual frame grabs and stacks. Uranus ought to be easier though. Here's the best I could do with my 5" reflector and Sony NEX camera (stacked video). The camera did capture color from Uranus' disc (confirmed with white background star in original frame) but Neptune was just too faint. 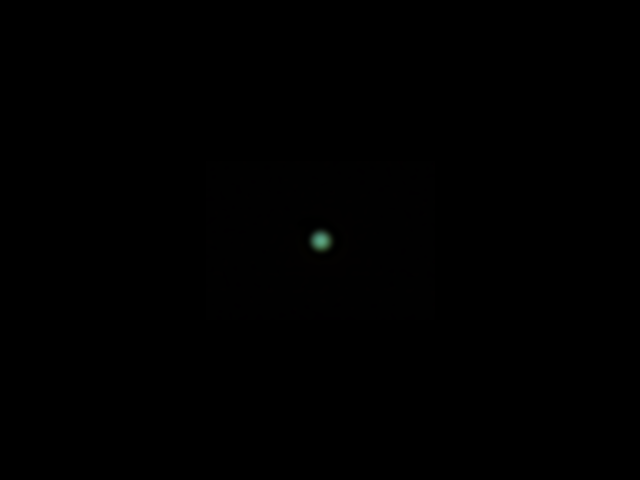 EDIT: That said, considering the color I've been able to wring out of DSOs at (relatively) short exposures, I'd like to try taking a wider-field shot of Uranus to confirm the color capture. Edited by GoldSpider, 03 November 2015 - 07:04 AM. Certainly not much to look at, but shooting without the barlow to include some stars, with Stellarium on my laptop in front of me, and post-processing Astrobin plate-solving removed any doubt that the dots I was looking at were indeed our distant solar system neighbors. With super-clear skies on 11/3 allowing me to see the faint stars of Pisces, it took me all of 3 minutes to get Uranus in-frame. I am seriously looking forward to your images. Just got in from imaging Uranus with my C6 and ASI120MC and I'm actually kind of impressed. Nothing at all like the pro's are getting here but all things considered - h-ll - it looks really ok. I ran a few stacks. I'll post tomorrow. Seeing wasn't great, but still, much better than I anticipated. My second night out with the ASI120MC. I can't complain. 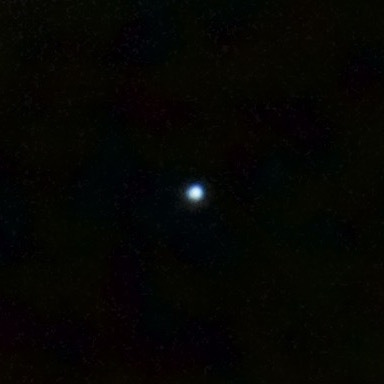 Here's Uranus shot on November 23rd this past week. I used my C6 and the ASI120MC. I forget even what the fps was... 60fps I think. Seeing was Pickering 6 which on a target this small is ever apparent. Still I like the way I got it and the first night out with that cam. Cant complain too much. I'd really like to see your results. I'd've had a sharp limb or less fuzz if the seeing were better. And no barlow here with the C6. I just put it in the diagonal and focused, adjusted, ran avi.s. .The CMOS sensor has much smaller pixels if I understand it correctly, hence the decent image size at f/10. That was a pleasant surprise. Normally I'd barlow it up at least twice that F value. Looking forward to your results. Please post! Here are mine. I'm glad I have these to complete my planetary set, but I doubt I'll bother again with my current setup (Nexstar 6SE with Neximage camera). Neptune was tricky, as even without a Barlow I had to use long exposures for each frame, and the drift resulted in an image that isn't quite round. Edited by KiwiRay, 03 December 2015 - 12:12 AM. Your planets look fine! I notice we have these soft planetary limbs and it makes me question the reason. Is it the falling off of illumination has this area too dim to record - or does the seeing need to be virtualy perfect for such a small object in angular size? Might be both? The softness of the limbs came down to how much sharpening I used. With no surface features to guide me, I just went with the amount of limb softness and darkening that seemed most aesthetically pleasing to me. More sharpening, and the centre of the planet would burn out; less and it was a fuzzy blob.  I photographed Uranus with a 4SE (102mm mak) and a Sony a5100 at the end of November. I'll post a picture later today when I'll go back home. Nothing earth shattering; just a small green-blue disk smeared by atmospheric turbulence but bright enough that the camera could do focus peaking while I was looking at the preview on the back screen. Edited by Marcsabb, 03 December 2015 - 11:47 AM. Giving this a shot tonight (after 2 weeks of clouds and rain). Bad seeing and lots of broken clouds (hoping for a clearing to pass through). I've only got a luminance filter and a #21 orange to try (the 685nm IR pass is in the mail, and the 850nm is backordered). 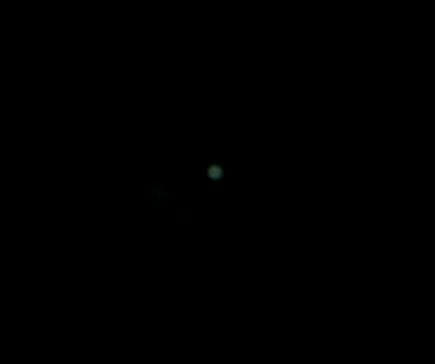 Here's my first attempt at Uranus. It's also first light with my ASI224. I'm sure I haven't figured out optimal settings for this camera/scope combo yet. Shot through poor seeing, poor transparency, with constant cloud cover passing through. My filters came in. Here's another attempt from last night. I'm still experimenting with the ASI224. This camera is extremely tolerant of short exposures (20% or even lower on the histogram) due to the low read noise. Thus, I was able to get 83fps for the color image. When looking at the individual channels on the color image, it looks like there *might* be some banding that appears in the red channel...though I'm still quite doubtful. Seeing was still pretty terrible, though transparency was a lot better. Didn't get any detail with the 685nm filter - but I think the exposure time was way too long for that. Need to try with shorter exposures and more frames. Darin, you're attempting something a lot of folks might deem impossible with a 6" scope but one thing that is very important is for you to try & capture one of the brighter moons in an image for orientation purposes.